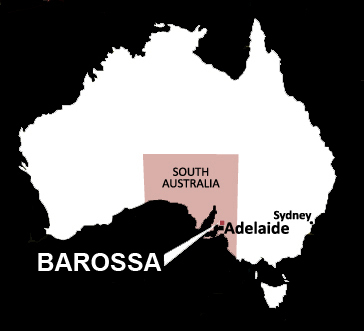 The Barossa is Australia’s most famous wine region. 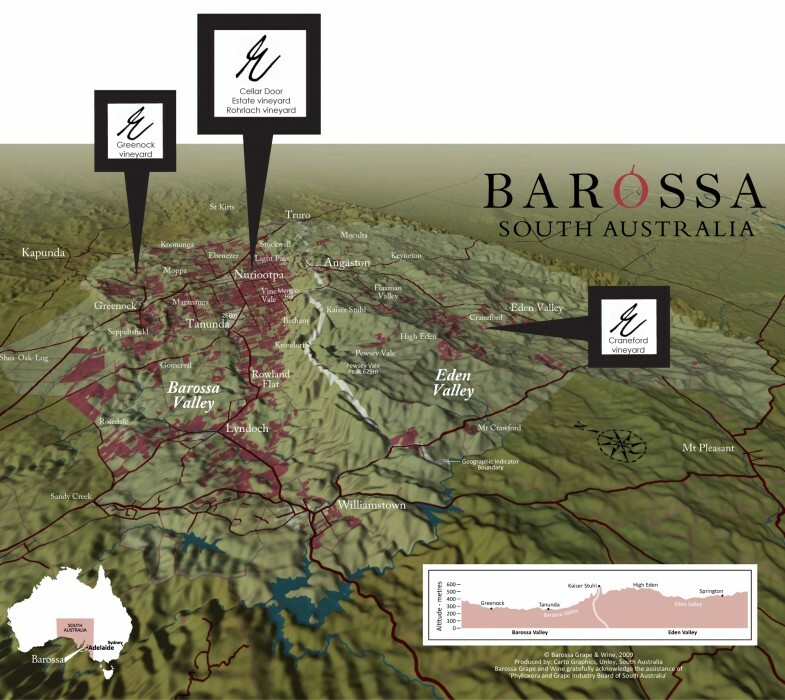 Comprising of the Barossa Valley and Eden Valley, it is home to some of the oldest Barosoo Shiraz vineyards in the world, acclaimed Rieslings and iconic wine brands. The Barossa is a gourmet lover’s paradise within a strong cultural heritage reflected in its wine, food, buildings and people. Diverse experiences including festivals, events, the arts, bushwalking, golf, cycling and shopping can be enjoyed amongst a stunning Australian landscape of rolling hills, manicured vineyards, and closely linked towns and villages. 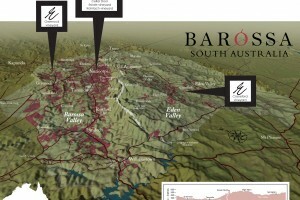 For more information on visiting the Barossa please go to the official site at www.barossa.com. The region has a typical Mediterranean climate with dry summers and mild winters. The most rain falls between April and October and the average rainfall is 550 millimetres. The summer climate is very similar to conditions experienced in Bordeaux and Margaret River, although the Barossa does have marginally higher average temperatures, lower rainfall and lower humidity. In all great for growing the big red styles that the Barossa is famous for, as well historically fortified wines and more recently Rhone style whites. Source: Wine Australia: Viticulture & Environment, J Gladstone. Much work has been done to further define the soil types of the sub regions of the Barossa. This work is known as the Barossa Grounds. 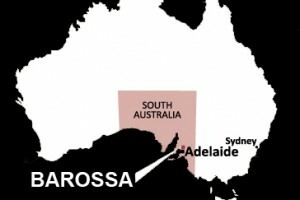 For more information on this project visit https://www.barossawine.com/vineyards/barossa-grounds/ .